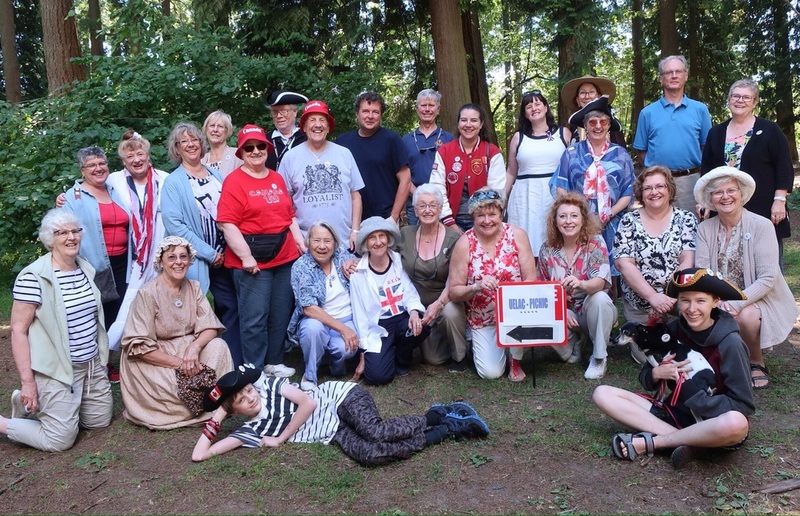 The Vancouver Branch UELAC is a non-profit Canadian heritage society run by volunteers with an enthusiastic passion for the Loyalist era of our history. Considered to be Canada's “first refugees,” the United Empire Loyalists stand as one of the founding families of Canada. We help research this unique heritage in our British Columbian communities. As a branch of a larger organization, we actively support the vision and mission of the United Empire Loyalists' Association of Canada. Vancouver Branch members at the 2017 Branch Picnic. Vancouver Branch has had visitors.